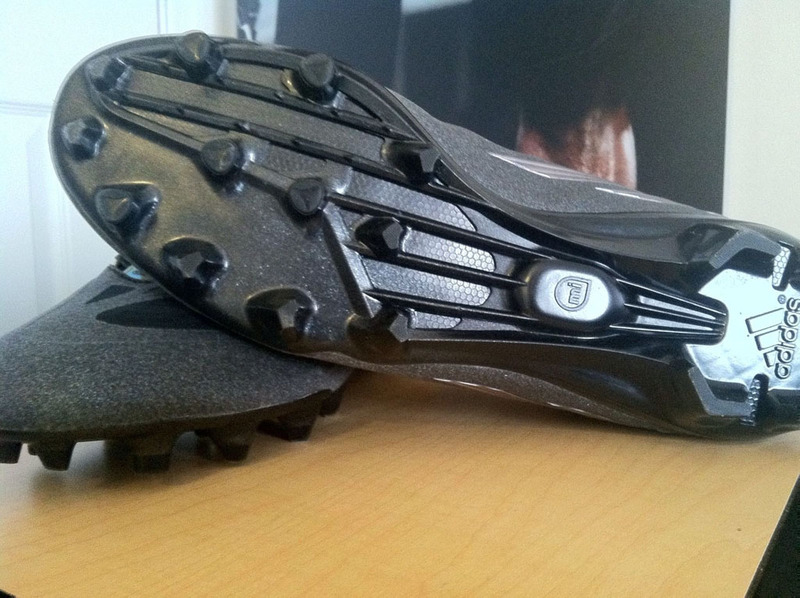 After a tough sophomore season, Robert Griffin III will return to the field next season with a new head coach and a new signature cleat by adidas. 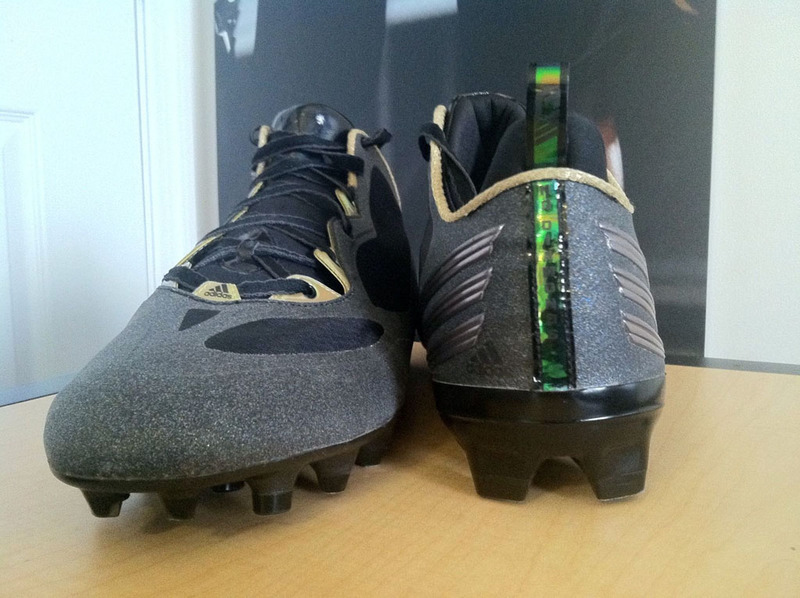 The adidas RGIII debuted on-field in a camouflage colorway last November to honor the men and women of the US military. 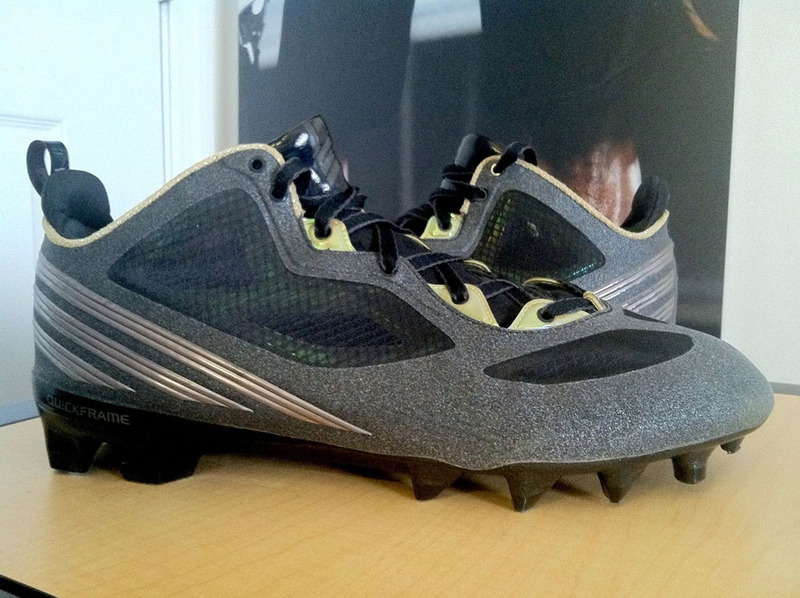 A month later, a yellow-based colorway was worn by participants in the US Army All-American Bowl. 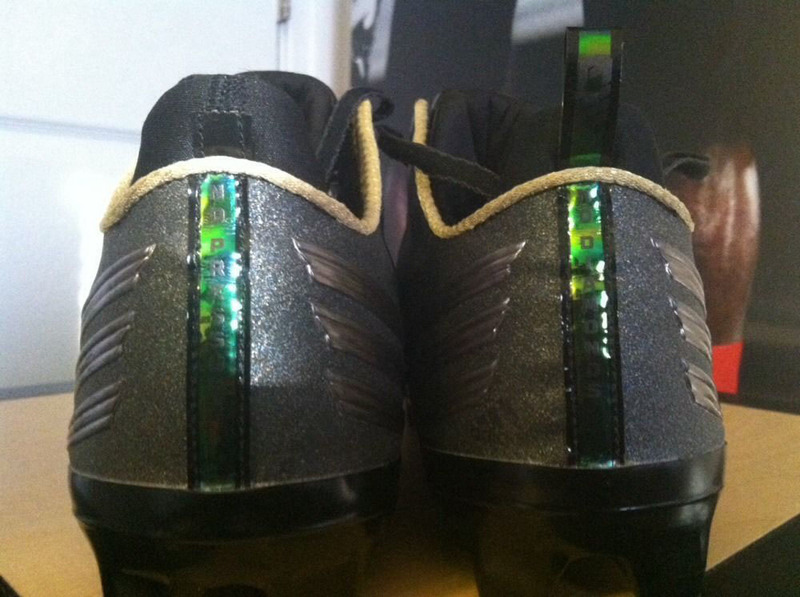 Now we get a detailed look at a sample possibly on target for the official launch. 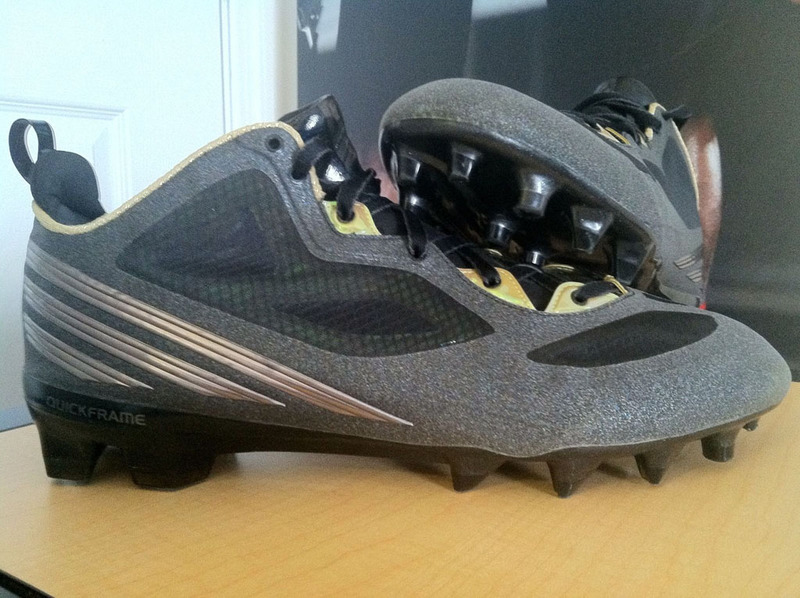 This pair sports a flaked anthracite upper with black mesh panels and metallic gold accents. Holographic tabs on the heels read 'No Pressure, No Diamonds.' 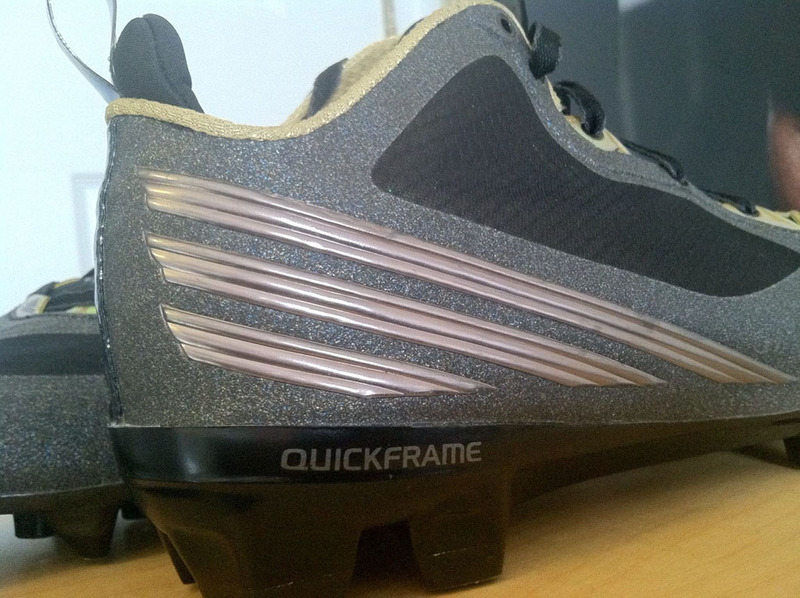 Tech features include QuickWeb construction, a QuickFrame plate and miCoach compatibility. 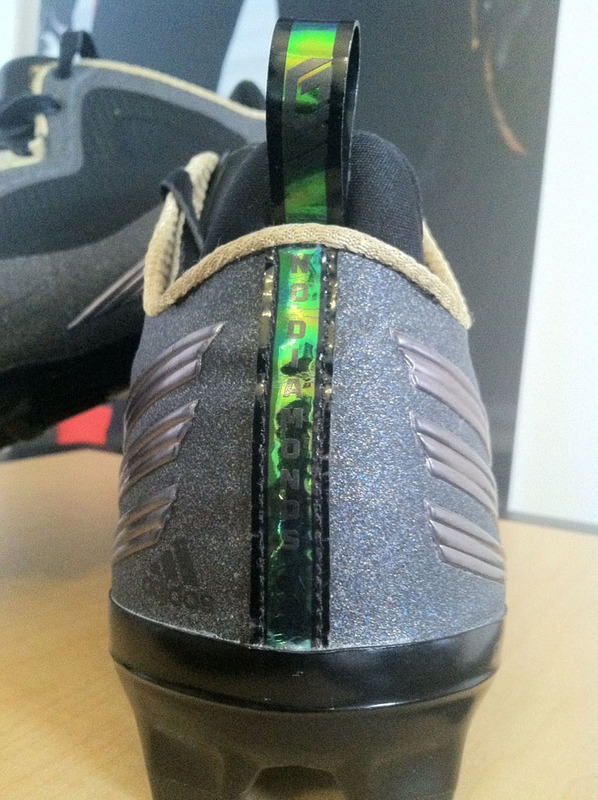 Before the adidas RGIII hit stores later this year, you can pick up this sample from dlawson86 on eBay.